Twelve poets met at the Sherston on December 7th to share recent work on and off the topic of lighting candles rather than cursing the dark. There were poems from David and Ama about floating candles in paper boats, and a candle poem from Chris. We heard dark poems from Chris, Andy and Sara. Sara has the distinction of having been commended this year in the Geoff Stevens Memorial Prize, which was won in 2013 by Rachael. 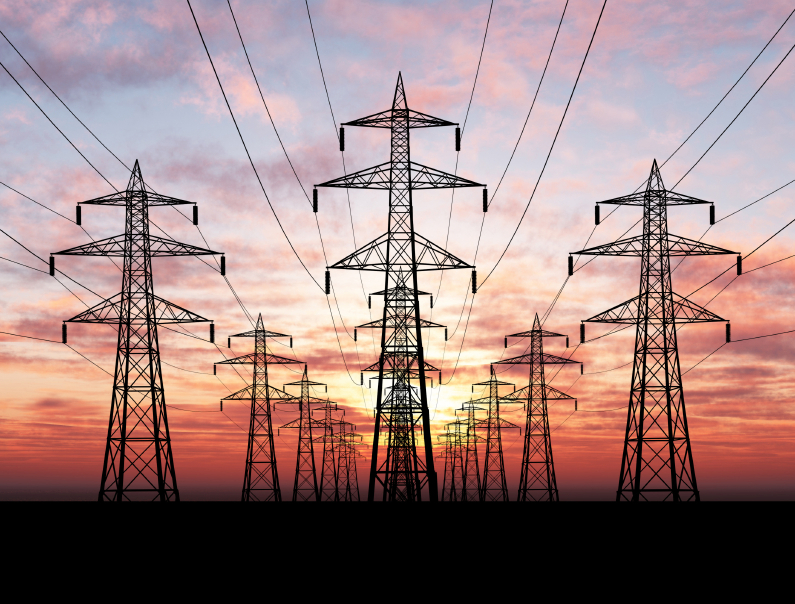 This post’s title is from Rachael’s “Solstice”, due to be published in the January issue of Raceme, a new literary magazine for Bristol and the South-west. Mark read two of his characteristic observations on human nature and from Richard we heard two sonnets inspired by precious stones. Jo read “From Life” which is published in the Poetry Space Winter Showcase. Ewan read “Desert Wisdom” and a poem on the anniversary of his mother’s death. Ama’s second poem was a celebration of being in the dark. Ama had eleven poems in the last issue of Obsessed with Pipework and one in the December Mslexia. Some of Chris’s poetry has been carved as part of the Shapwich Heath Sculpture Trail. Karin read two interestingly different versions of a new poem. Paul, a welcome newcomer to the group, contributed two poems. Next month we’ll be meeting in the same place on January 4th with Rachael in the chair. By tradition we read any other poet’s published work at the January meeting. Rachael has suggested that this time we consider which eight poems we’d take with us to the BBC’s desert island – read two of them and list the other six. This will be quite a challenge, and should make for interesting listening. Best wishes to all for a happy Christmas/Solstice/Saturnalia and an inspiring New Year. This entry was posted in poetry, Uncategorized and tagged Ama Bolton, Andrew Henon, Chris Scully, Ewan MacPherson, Geoff Stevens Memorial Prize, Jo Waterworth, Karin Baynes, Mark Sayers, Poetry Space, Raceme, Rachael Clyne, Richard Field, Sara Butler on December 20, 2015 by barleybooks. Latest news: two Fountain poets, Rachael Clyne and Claire Coleman, have poems in the Poetry Space Summer Showcase. Well done, both! Dear Doe by Rachael Clyne I love for its beautiful natural imagery. Inside her bedroom, the poet looks out on a deer mothering her fawn and finds a connection, both enjoying the calm of the evening as the sun goes down. I have featured two poems from Claire Coleman. One that explores the heartbreak of a parent going into a nursing home (Packing for the Nursing Home) and the other that tackles the aftermath of the parent’s death (Saturday’s Clearance). At the heart of each are the subject’s belongings and the deep reverence the poet has for these things and for their owner. The second poem highlights the stark differences in how two siblings handle a death. This entry was posted in poetry, Uncategorized and tagged bereavement poem, Claire Coleman, Doe poem, Poetry Space, Rachael Clyne, Susan Jane Sims on June 21, 2014 by barleybooks. Mark’s ‘Hen party’ had a quite unforeseen sting in the tail, and David C’s ‘Postcards’ chronicled a disastrous holiday, again with a surprise ending which had everyone in stitches. Ewa read her latest work in English and Polish, and Rosalie read a lovely romantic German poem, followed by her own translation of it. We also heard a set of very clever limericks, and poems on local topics, including the recent floods and the eviction of the Bishop of Bath and Wells from his palace. Congratulations are due to Fountain poets Rosalie Challis and Claire Coleman, both of whom have poems in the forthcoming anthology “Love and Loss” edited by Rosie Bailey and June Hall, to Rachael Clyne whose poem “Sixties Dreaming” features in the Poetry Space Spring Showcase, and to Ama Bolton, who won a small prize for a Special Mention in the Magma Editors’ prize. The next meeting will be on Monday 7th April, with Norman in the chair. His chosen theme, for those who like to have one, is “Computers and the Internet”. This blog has a readership far wider than the group who meet regularly at the Fountain. We’d like them to know that they would receive a very warm welcome among us if they should ever come to this part of the world. This entry was posted in poetry and tagged Ama Bolton, Claire Coleman. Rachael Clyne, Fountain Poets, Magma poetry magazine, Norman Hodghton, Poems about food, Poetry in Wells, Poetry Space, Rosalie Challis on March 7, 2014 by barleybooks. In spite of unprecedented rainfall in the last few weeks, twenty-two poets made it to the Fountain last Monday. 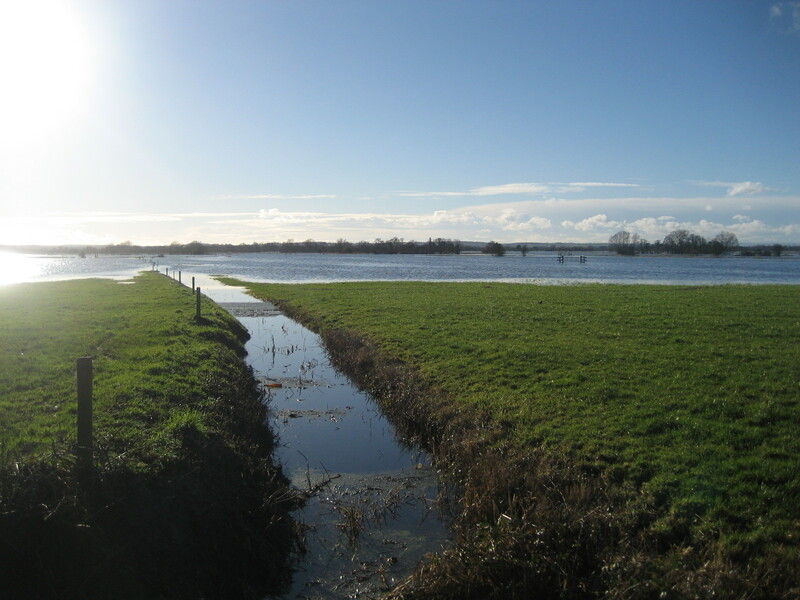 We heard a flood of weather-related poems – and a shower of Valentines, too! Richard was especially prolific, having written apt and amusing Valentine tributes to many members of the group. It was good to see Mark again, thanks to the improved bus time-table, and Andrew too, whose migration pattern so seldom enables him to be with us. He read his wonderful poem about Lorca. Anyone who has a copy of our 2008 anthology can find it on page 28. I still have a few copies of the 2013 anthology – clearance sale price £3 – contact me if you’d like one. 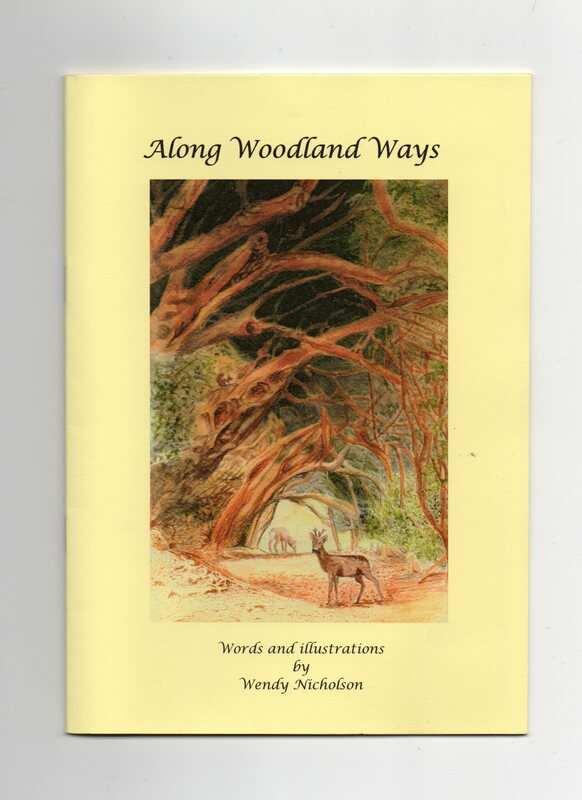 Wendy Nicholson (see her page in Poets’ Pages, above) brought along a few copies of her pamphlet Along Woodland Ways, a touching poem about the endangered native Red Squirrel, with Wendy’s own delightful colour illustrations on every page. It is ridiculously good value and will be sold to swell the funds of Northern Red Squirrels. Rachael Clyne read a poem from her forthcoming pamphlet, Singing at the Bone Tree, which will be published in June. Congratulations to Rachael, who was one of two winners of the Indigo Dreams Pamphlet Competition. Other members deserving congratulations include Jo Waterworth, who has a poem in the Poetry Space Winter Showcase anthology, Jane Williams who has a poem in the Plough Prize long list, and Clare Diprose and Ama Bolton, who have poems in the Plough Prize short list. Ama had a poem (heard at the Fountain in November) highly commended in the Charles Causley competition, and will be at Keats House in Hampstead on February 25th to receive a runner-up prize in the Magma Editors Prize Competition. This entry was posted in Books received, poetry and tagged Ama Bolton, Charles Causley Trust, Clare Diprose, Indigo Dreams, Jane Willliams, Jo Waterworth, Magma poetry magazine, Northern Red Squirrels, Plough Prize, Poetry Space, Rachael Clyne, Richard Field, Wendy Nicholson on February 8, 2014 by barleybooks. 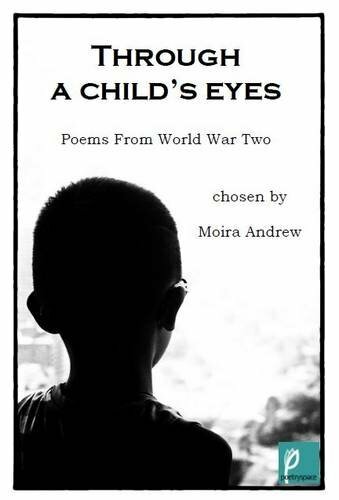 The latest book from Poetry Space is an anthology of poems from World War Two chosen by Moira Andrew. Fountain poets Sara Butler and Jane Williams are contributors. This entry was posted in poetry and tagged Fountain Poets, Jane Williams, Moira Andrews, Poetry Space, Sara Butler, Through a Child's Eyes on September 10, 2013 by barleybooks. Our first meeting of the new season will be on Monday September 9th, upstairs at The Fountain Inn at the bottom of St Thomas Street in Wells. The postcode is BA5 2UU. There is a car-park on the other side of the road. Please arrive before 8pm so that we can start on time! Visitors are always welcome, whether they come to read their own poems or just to listen. Good poetry needs good audiences! The Fountain is under new ownership and we shall be meeting in the back room from now on. I have received details of the Fire River Poets’ Open Competition, closing date 8 November. I have posted the rules and entry form as a separate page: feel free to copy and print it. Latest news: two Fountain poets, Rachael Clyne and Ama Bolton, will have work included in the forthcoming Poetry Space anthology “Nothing Recognisable as Human”. Martyn Crucefix says of one of Rachael’s poems “I enjoyed the bold metaphorical range and compass of ‘Toadsong’ “. The full text of his report can be read here. This post was written by Ama. 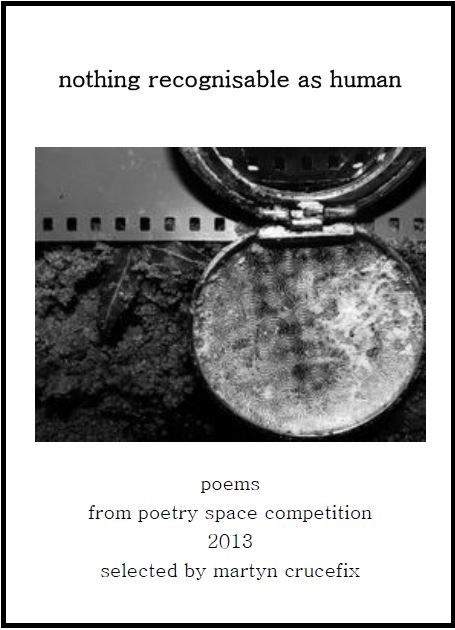 This entry was posted in poetry and tagged Ama Bolton, Poetry in Wells, Poetry Space, Rachael Clyne, Wells Fountain Poets on August 25, 2013 by barleybooks.